Why is the book shaped like this? What message do you think Jungho Le wanted this picture to have? Write a sentence about this picture using a simile or metaphor. 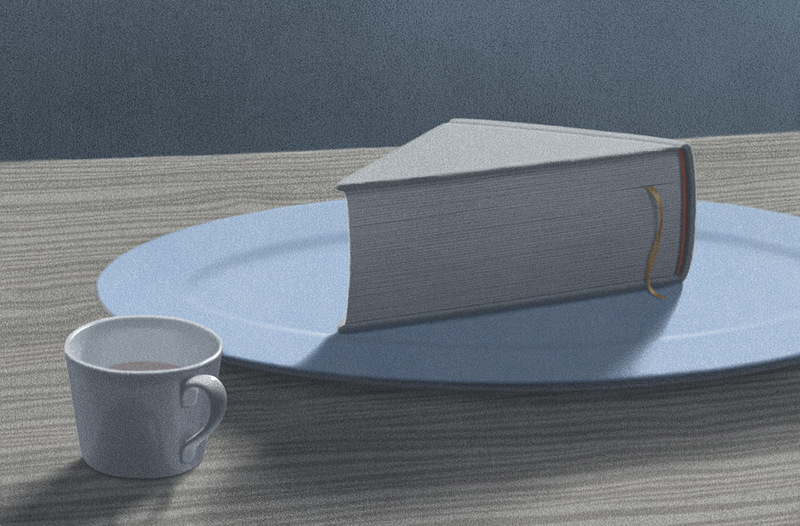 Do you have a balanced reading diet? Which genre is your favourite? Is it important to read a variety of texts? Does reading ‘broaden the mind’? How can you encourage yourself – and others – to read a range of fiction and non-fiction? Try following this up with Mrs P’s ‘Book Bingo’ cards, which can be adapted to suit your year group if needed. … listening to and discussing a wide range of poems, stories and non-fiction at a level beyond that at which they can read independently. … listening to, discussing and expressing views about a wide range of contemporary and classic poetry, stories and non-fiction at a level beyond that at which they can read independently. … identifying themes and conventions in a wide range of books.